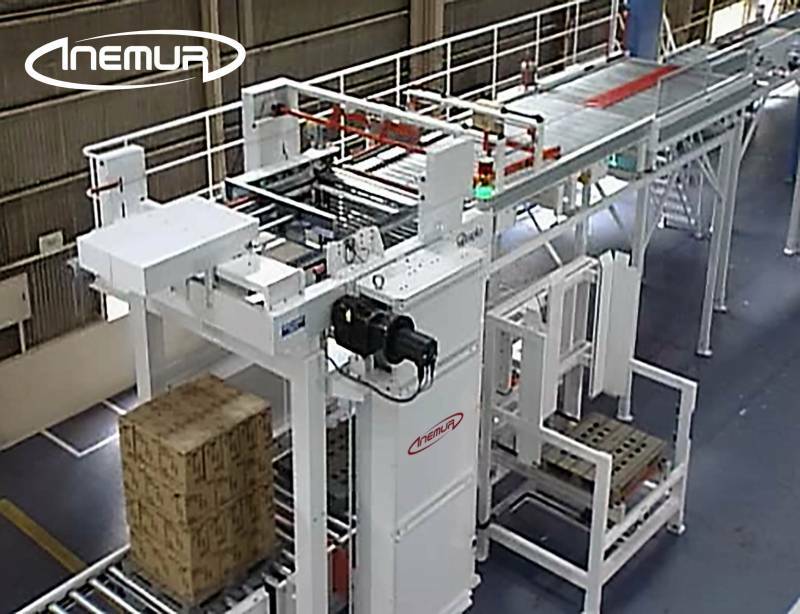 We have a wide range of solutions for palletising packages using different technologies, depending on the volume of production, load characteristics, sector and number of simultaneous lines. 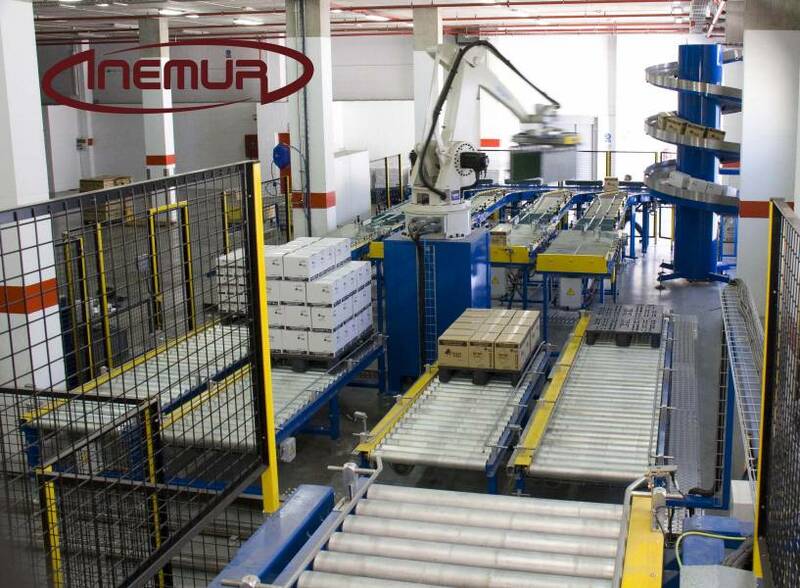 So, we have models multilevel Cartesian system, gantry type and robotized so as to complete mosaic layer. 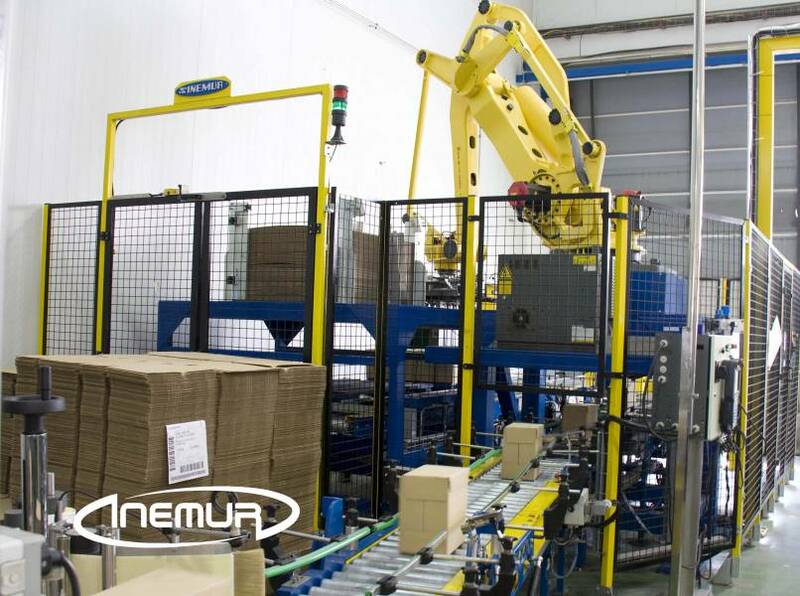 Since its inception, INEMUR specialized, among other solutions, palletising boxes initially focused in majority for the food industry. 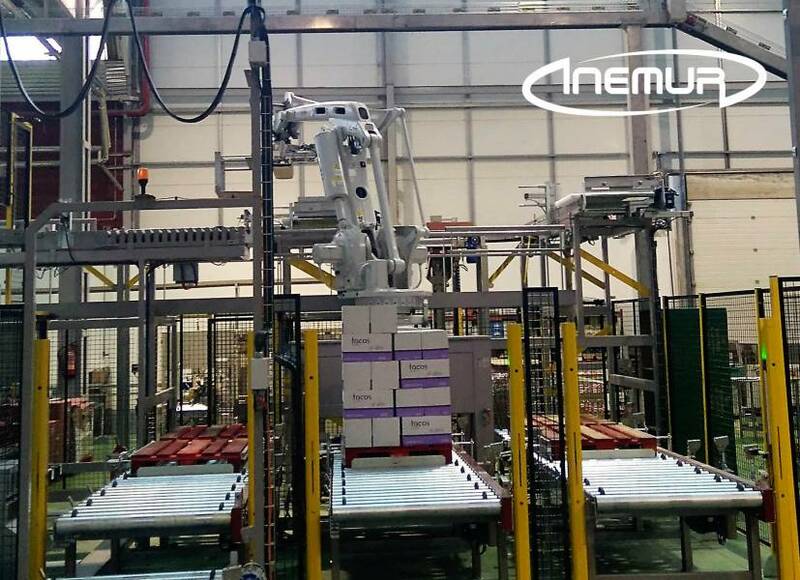 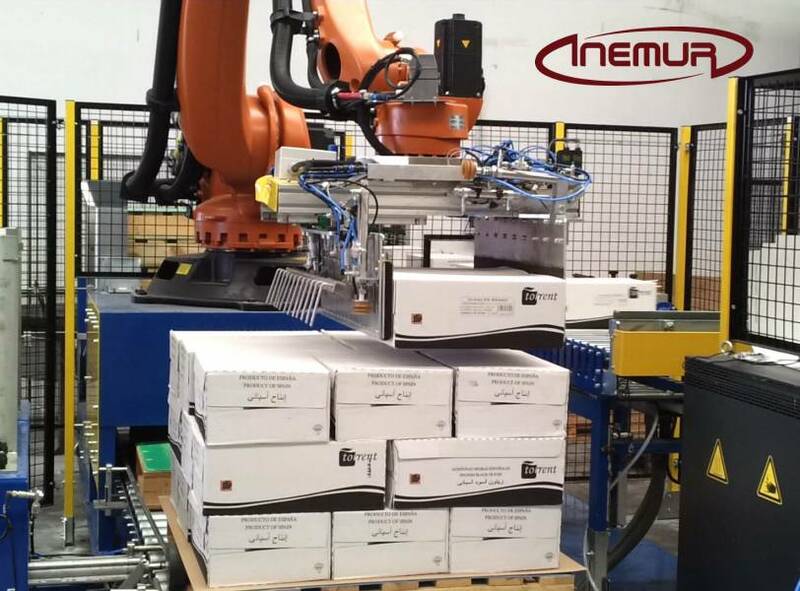 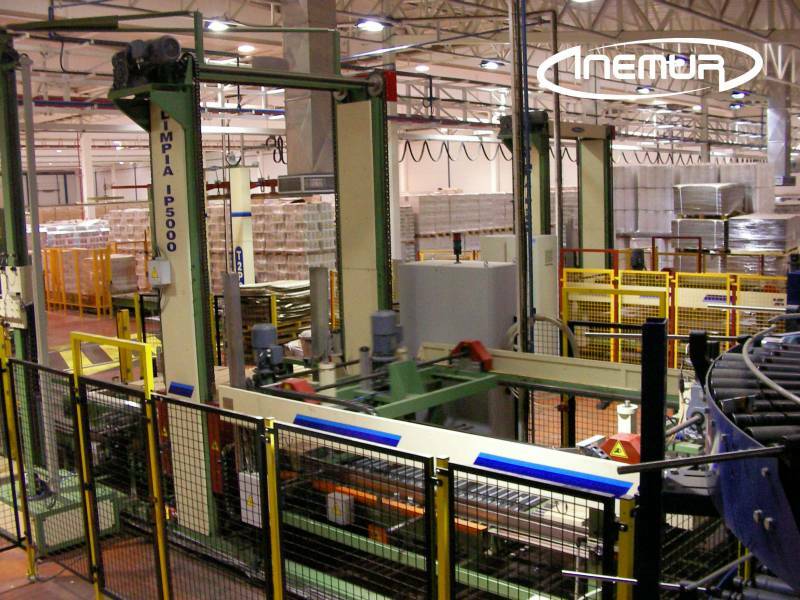 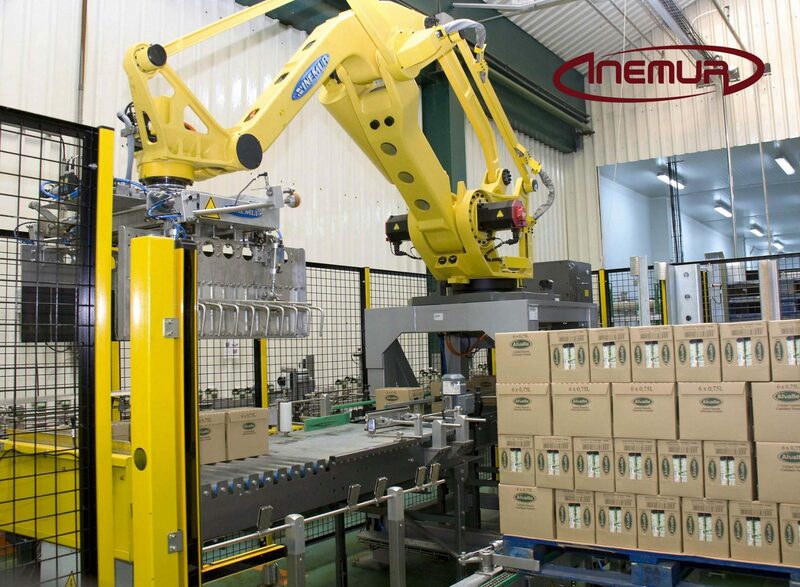 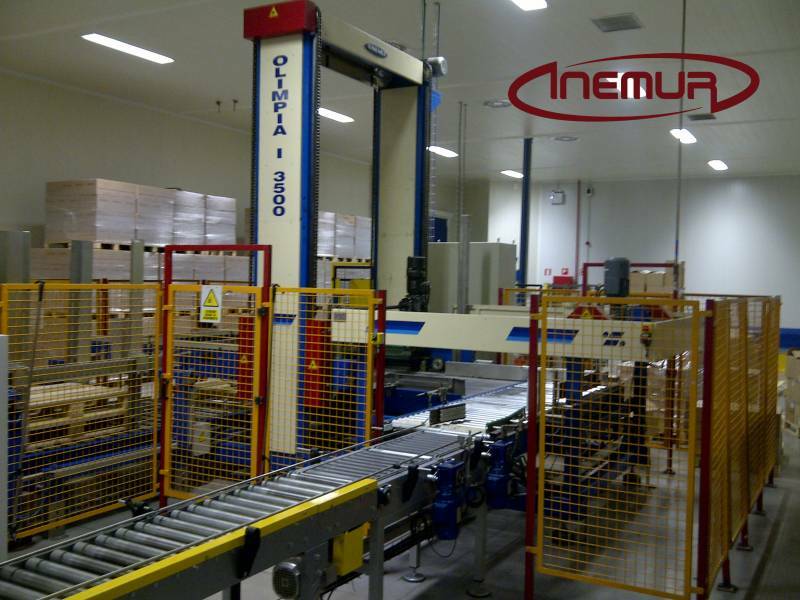 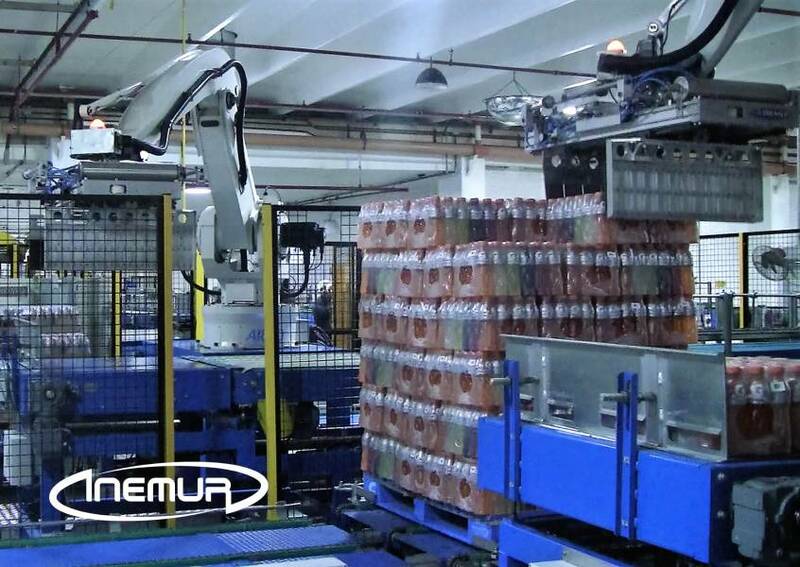 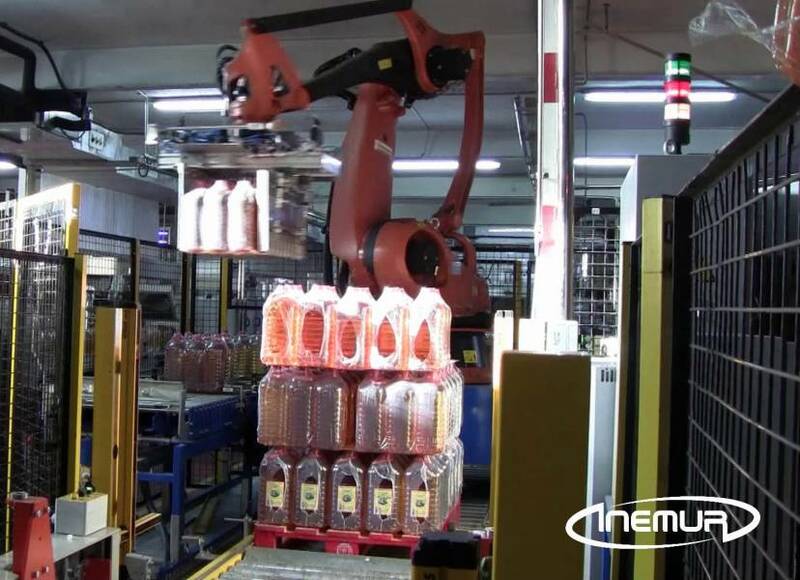 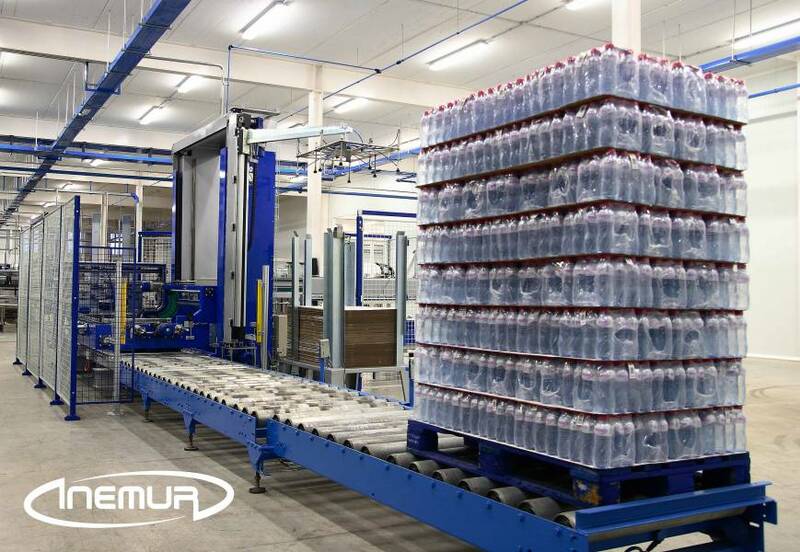 INEMUR was one of the leading European companies in the use of anthropomorphic robotic palletising applications, having already 500 facilities in multiple sectors with these characteristics. 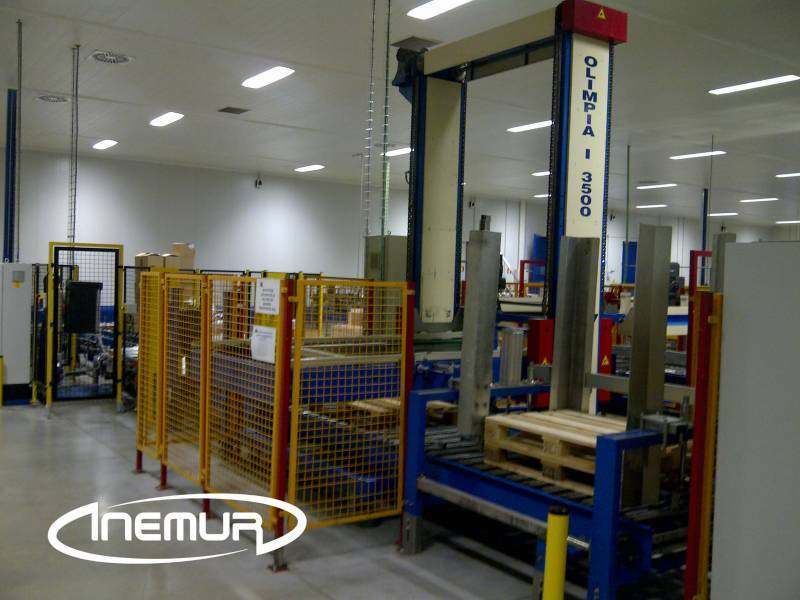 Among which a large part is custom installations and many other standard equipment that we have developed and remarkably improved with experience to get a perfect combination of quality and tight cost. 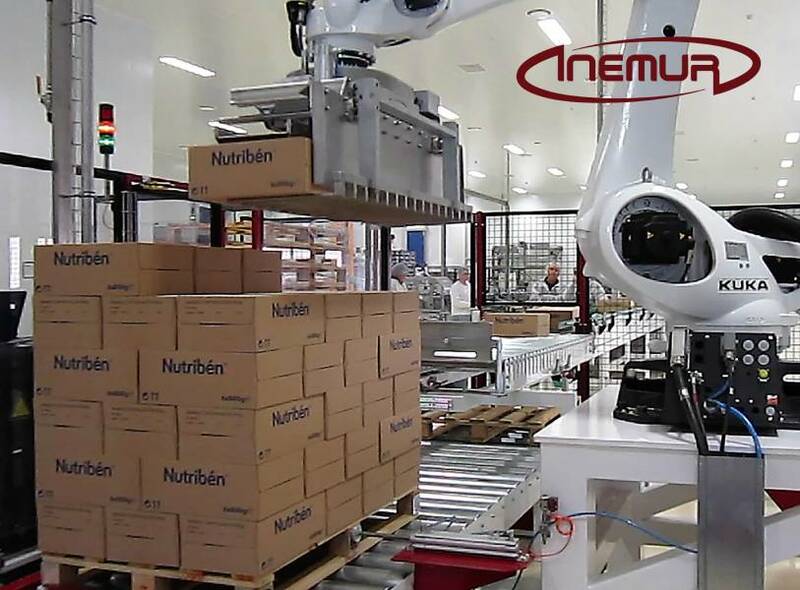 In addition to the high efficiency of our equipment and lines for robotic palletising boxes and packages, we have worked extraordinarily on obtaining the ease of programming and management by the market. 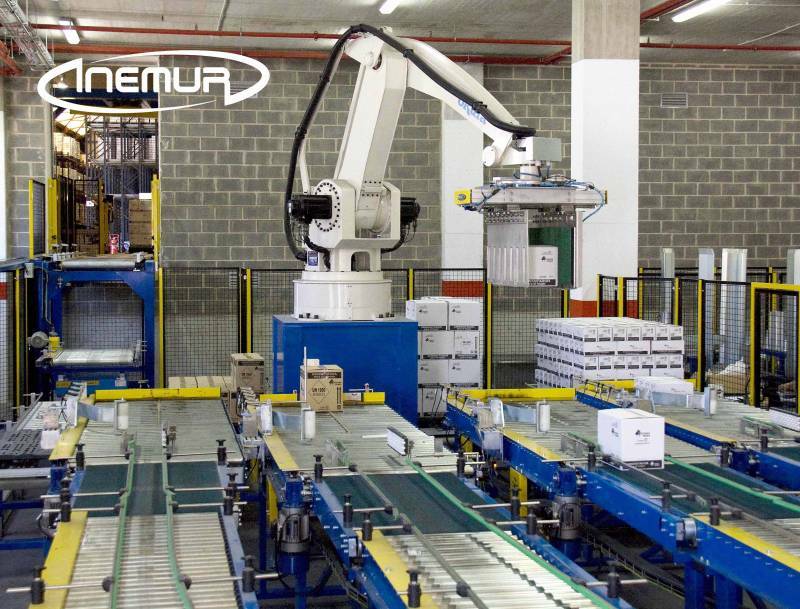 We are especially proud of our series ” Compact-Box ” with which we have also achieved the perfect robotic Palletizer, complete autonomy by the customer. 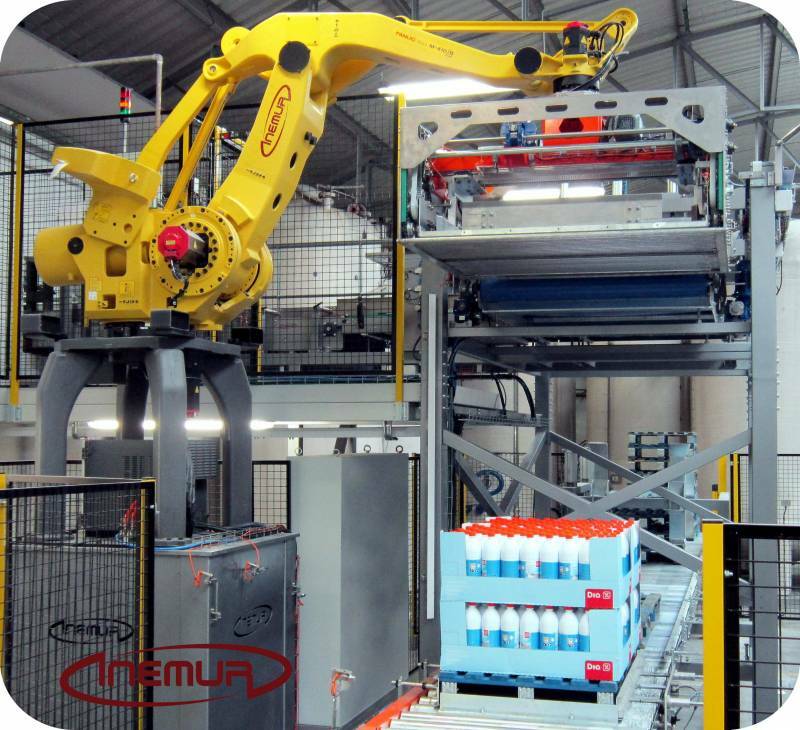 Multifunctional solutions also have to work with different types of format. 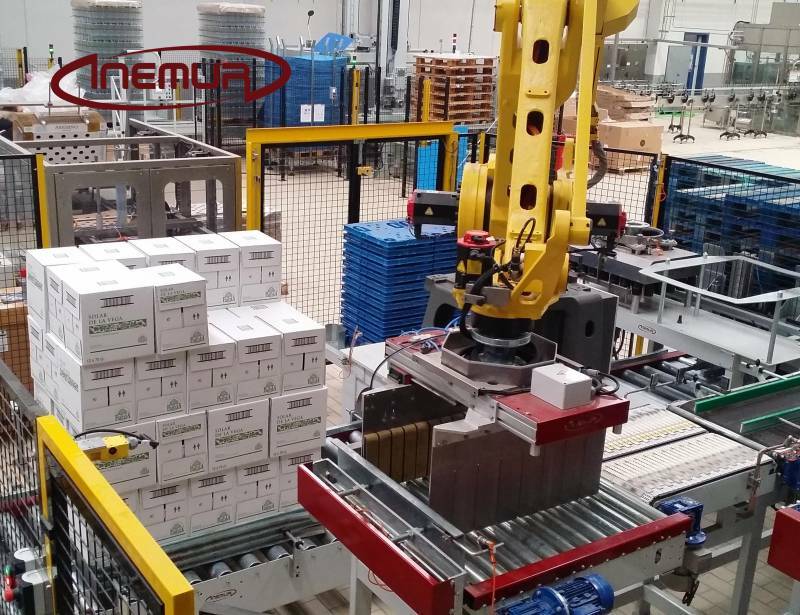 Highlight including “Compact-Mix ” set to work with boxes, mosaic and bottles on trays full layer, especially destined to the industry of wines and spirits and other customized solutions to combine palletising boxes and sacks. 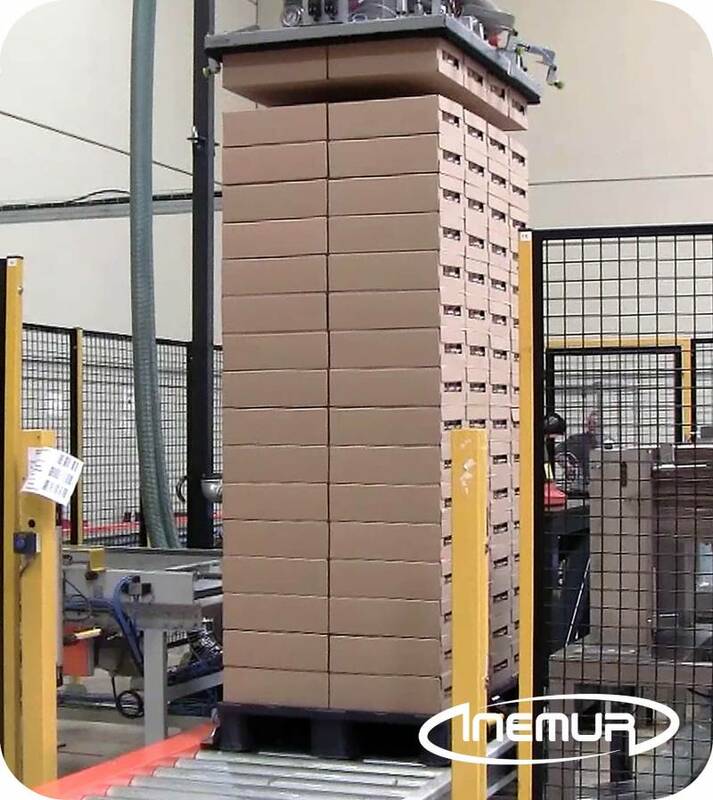 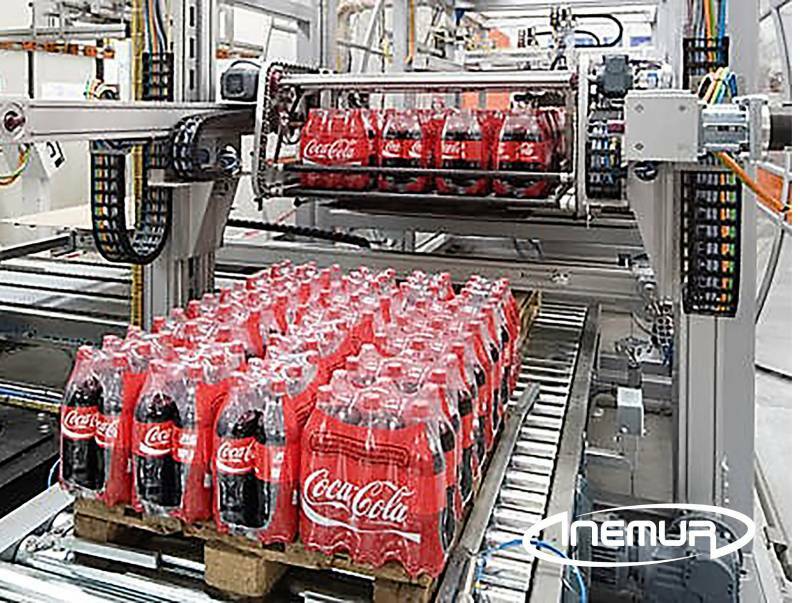 Today, INEMUR has a huge reputation in this market, being considered as one of the great experts in palletising boxes and packages for complex and high production applications.